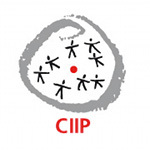 As a communication support of the CIIP (Conférence intercantonale de l'Instruction publique de la Suisse romande et du Tessin), each edition of this newsletter addresses a theme contained in the four-year program of this conference. Its official partners (inspectors, principals, teachers and parents) will have the opportunity to express themselves in the newsletter through their umbrella associations (CLACESO, SER, FAPERT, etc.). This newsletter was first published under the title of "Coordination" of 1975-1997, then " Politiques de l'éducation et innovations " from 1997 to 2011. After a gap of two years, it has reappeared in 2013 under the present title in electronic format only, as an irregular publication (one to two issues per year).